The Conway School of Landscape Design partnered with the FRCOG to re-imagine the parking lot and rail yard behind the Salmon Falls Gallery in Buckland in fall of 2017. David Grist, Conway School student, conducted extensive analysis and design. 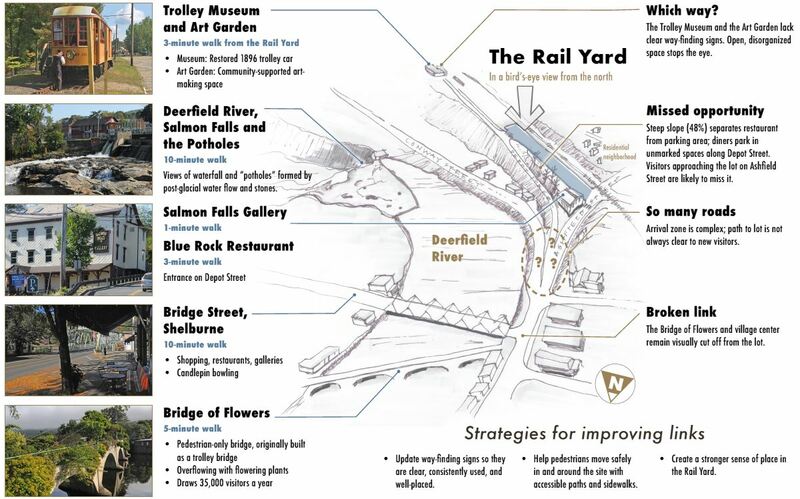 View his findings and recommendations in this plan set: Rail yard-plan set-FRCOG-final comp.